China will provide $6.5 billion in financing for Pakistan’s new nuclear power plant in Karachi. Reuters is reporting that China has committed to provide $6.5 billion in financing for the construction of Pakistan’s nuclear power plant in Karachi. Reuters cites both Pakistani officials and Chinese officials as well as financing documents from China National Nuclear Cooperation (CNNC) as confirmation. Ansar Parvez, the chairman of the Pakistan Atomic Energy Commission, told Reuters that the plant is scheduled to be completed in in 2019. Each of the plant’s two reactors will provide more power than all of Pakistan’s current nuclear reactors combined. Pakistan considers nuclear energy as a key component of its long-term energy plan. It’s hoped that nuclear energy can provide a solution for Pakistan’s chronic power shortages. 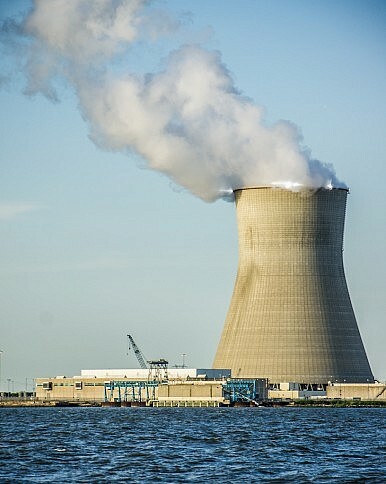 However, other countries, notably the United States, have been reluctant to provide assistance for Pakistan’s nuclear power efforts, citing concerns over proliferation. Many Western nations have distrusted Pakistan’s atomic energy sector ever since Abdul Qadeer Khan, considered the father of Pakistan’s nuclear program, admitted in 2004 that he had passed nuclear secrets on to Iran and Libya. Hua added that “relevant cooperation between China and Pakistan helps alleviate power shortage in Pakistan and serves the interests of local people. China will continue to help Pakistan tackle the shortage of power as its capacity allows.” China certainly has an interest in making sure a political and diplomatic partner has a sufficient energy supply, especially as blackouts in Pakistan have caused domestic unrest in some areas. By providing funding for Pakistan’s new nuclear reactor, China can help cement its status as “all-weather strategic partner” for Pakistan. However, beyond a particular interest in Pakistan, China is also interested in expanding its investments in nuclear power in general. During Li Keqiang’s visit to Romania, for example, nuclear power was highlighted as one of the areas China was most keen to cooperate in. Agreements signed during that visit would have China General Nuclear Power Group (CGN) play a key role in building additional reactors for Romania’s existing Cernavoda plant. CGN is also a co-investor in the planned construction of a new nuclear power plant in the UK. Given China’s strategic emphasis on the nuclear power industry, it’s no surprise that Beijing would partner with Islamabad to finance Pakistan’s nuclear reactors. Still, the move could cause ripples of concern, particularly in the U.S. and India, due to the sensitivity of nuclear development plans in Pakistan. Ultimately, though, the U.S. in particular is likely to welcome developments that help ensure Pakistan’s domestic stability. Plus, the State Department issued a statement in September that “the United States is confident that the Government of Pakistan is well aware of its responsibilities and has secured its nuclear arsenal accordingly,” downplaying nuclear proliferation concerns. Is the Crown Jewel of the Belt and Road Losing Its Shine?What Trump’s Pakistan Policy Means for ChinaTrump’s Tweet Further Strengthens China-Pakistan Ties2017 BRICS Summit: Post-Doklam, India, China Meet in XiamenDoes China Really Have a Strategic Vision for the World?